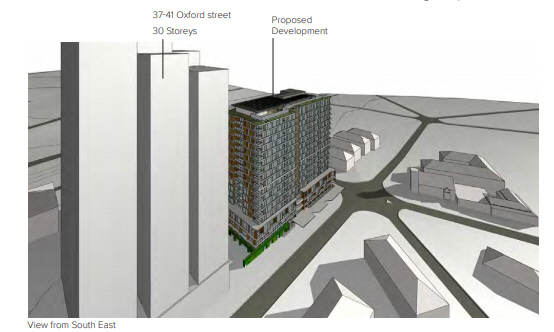 The proposed development is of 21 storeys, with a total of 131 apartments. Shops and commercial space occupy the ground floor and the two storeys above. The Trust asks for your support by making a short submission. See information on how to do this at the end of the story. This DA relates to a site on the corner of Oxford Street by the roundabout, in Epping. This has been retirement units run by the Uniting Church (known as Coombah) for many years and it is now proposed to demolish the existing buildings and build a 19 storey mixed used development. You can read the details here. The proposed development is for 187 basement parking spaces, 83 bed aged care residence, and then floors of retirement living units (152 units). So, like the proposal for the OLHC site, this is essentially a residential development as anyone over 55 could live in the units. At 60.7 m tall and 19 storeys, the tower is at least 4 storeys higher than the zoning allows. This is an excess height of 26.5%. Using the whole site means removal of three high value trees. The replacements in the plans are very poor alternatives. This DA will be determined by the Sydney Central City Planning Panel. The Trust will be submitting its objections, but while it represents several hundred members, the Trust’s submission will count as a single objection. 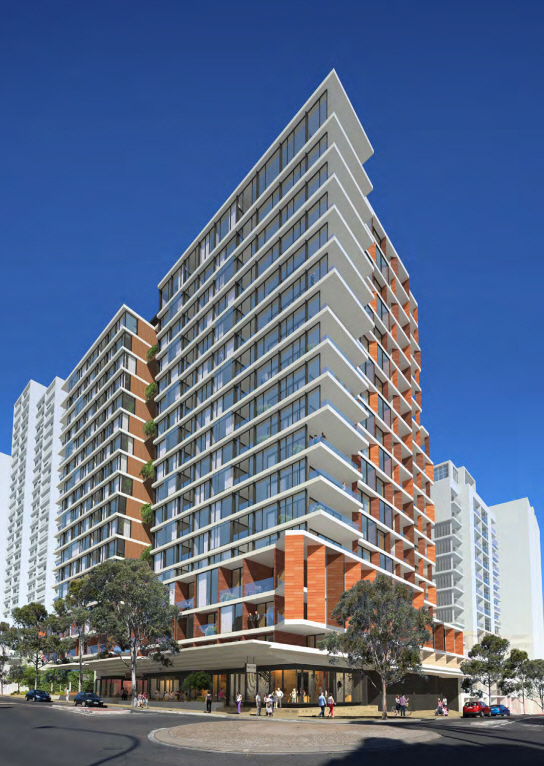 If you share our concerns, please submit your own objections to City of Parramatta Council. You can find email them at council@cityofparramatta.nsw.gov.au or post a submission to City of Parramatta, PO Box 32, Parramatta 2124. You need to include your name and address, and the DA number - DA/625/2018 in your submission. The closing date for Submissions is 4th October 2018. You need to clearly set out your concerns. © 2018 Epping Civic Trust Inc. All Rights Reserved.